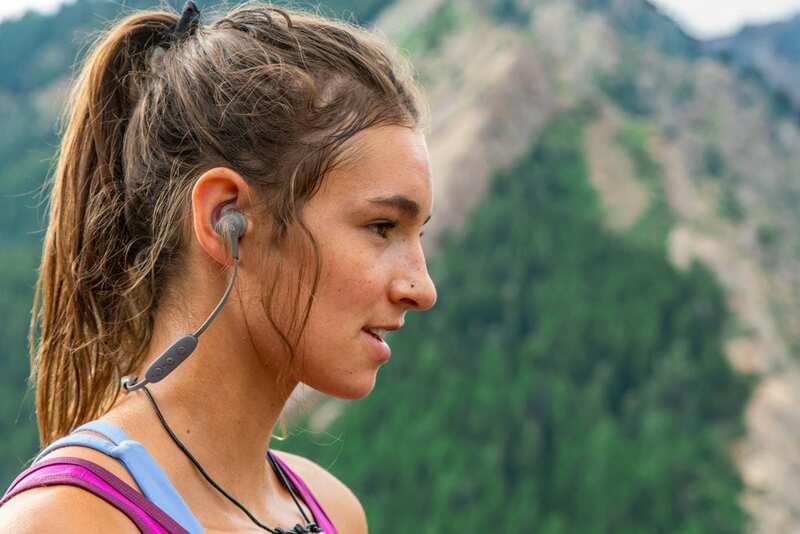 Whatever term you use to refer to earbuds, you know that having a solid pair of earbuds that perform well while you’re outdoors is no small matter. The good thing–and the bad thing–is that earbuds, earphones or whatever you call them are sold everywhere. They are about as ubiquitous as candy bars at convenience stores. While this means they are easy to find, it also means that there is a wide range of quality when you’re evaluating your next pair of earbuds. And, buyer beware…those $9 earbuds they sell at Ross aren’t going to impress or last very long. The best pairs of in-ear headphones are comfortable for extended periods of time. The newest models are often wire-free and support Hi-Res audio codecs like LDAC and aptX HD. They also operate well using Bluetooth for wireless connectivity. 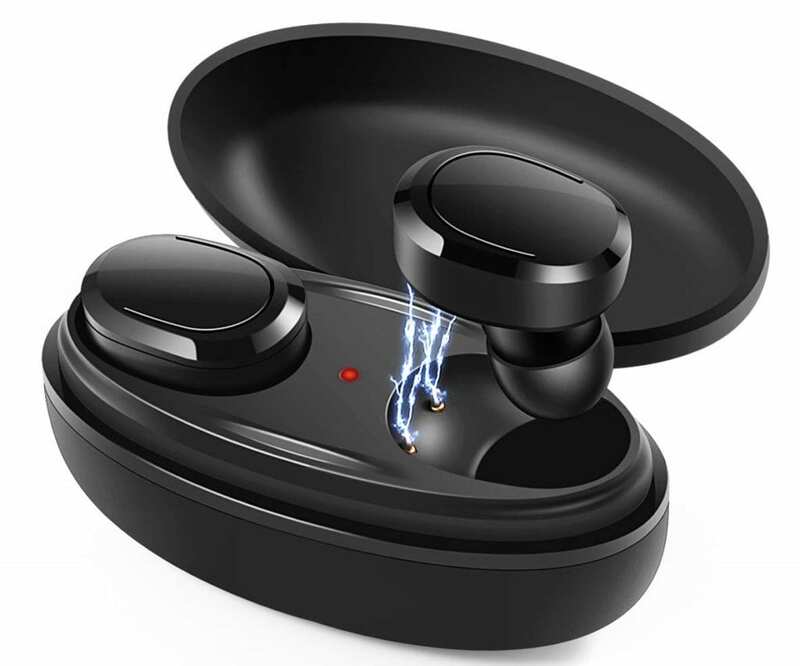 While our list doesn’t include any flea market-style, bottom of the barrel earbuds, you won’t break the bank buying a quality pair of earbuds that should last for a long time and perform admirably. As we review more models this list will change, which means you can expect that you’re getting the best headphones on the market at any point and any time you buy them. Is there a “best” brand? It really depends on what features matter to you. What are the best cheap earbuds? We recommend taking a good look at our under $20 options below. We’ve done our best to include options that offer sufficient functionality but are affordable. How do I clean my earbuds? Fixing expensive earbuds by resoldering broken electrical connections is a quick and easy process. The familyhandyman.com offers some helpful tips. 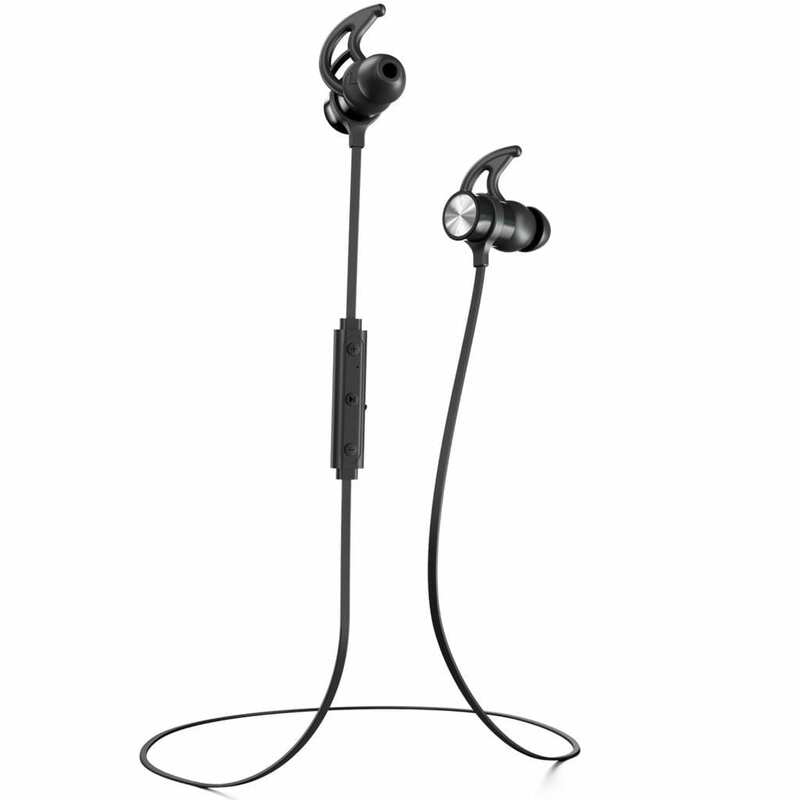 Which is better earbuds or headphones? Again, it depends. Some people prefer the feel and sound experience of over-ear headphones, other people prefer the freedom and compact size of in-ear headphones and earbuds. How do I keep my earbuds from falling out? This is a very common question since most earbuds don’t seem to stay in very well. Although most high-end in-ear buds and headphones are designed to fit snugly in your ear without causing discomfort, everyone’s ears vary in size. This means that they are bound to fall out unless you’ve carefully matched the design to your ear type or shape. We offer some tips for sizing your earbuds at the end of this article. 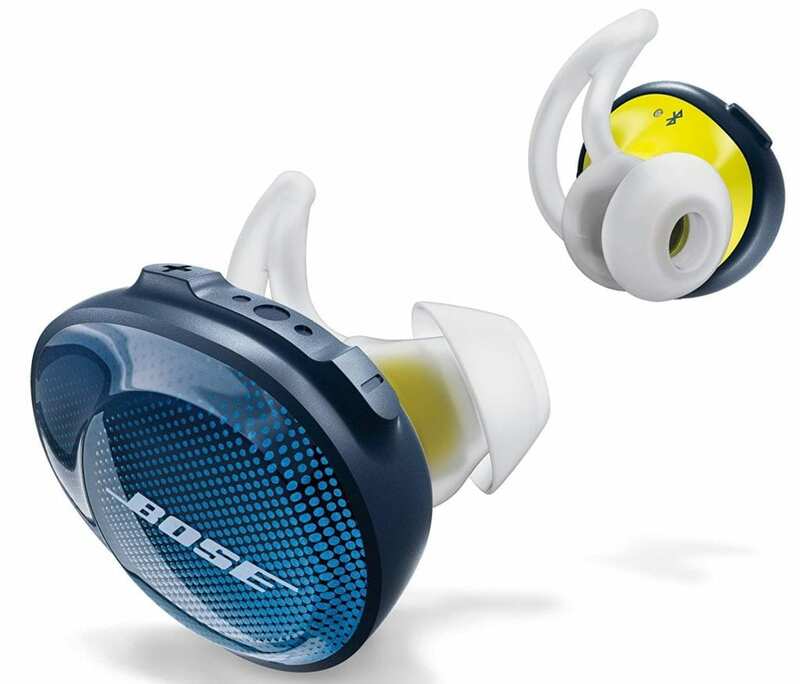 Not surprisingly, Bose is one of the leaders in earbud technology and offers some helpful tips to ensure an appropriate fit. We’ve selected some of our favorite earbuds for this review. Below are our favorite earbuds that won’t break the bank. Each of these options will do well in cold climates. 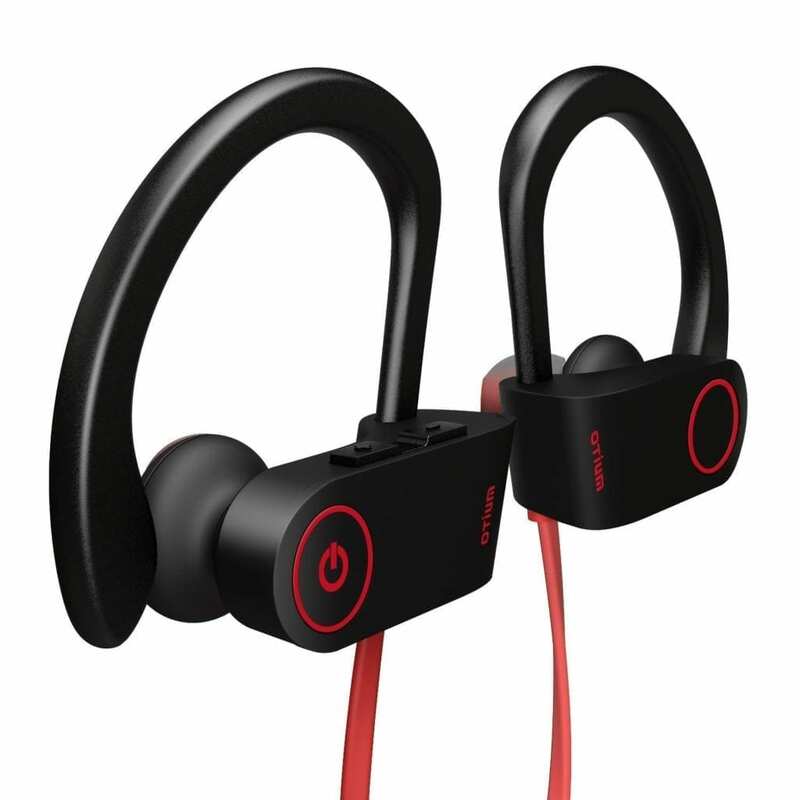 The Otium wireless bluetooth earbuds are ideal for any type of training. I have these earbuds myself and absolutely love them. The Otium earbuds are great for running, jogging, hiking, biking and working out in the gym. They stay securely in your ear with the comfortable ear hook. They have superb sound quality and Bluetooth V4.1+EDR for stereo sound. Even while music is playing in the background, these earbuds hold their own. The battery life lasts up to 8 hours and has a quick charge time. Other features that are very helpful are the easy-to-use buttons. The buttons allow you to skip, pause, and play without reaching for your phone. This is helpful when you are lifting heavy. It is also very easy to connect to Bluetooth. For all of these reasons, the Otium earbuds are rated high on our list. Charge: The rechargable long battery life means you get 6-8 hours of continuous music, or can relax with 80 hours of standby time when powered with a 5V external charger. Sound Quality: cVc 6.0 Noise Cancelling Microphone reduces outside noises, enable clearer microphone sound. 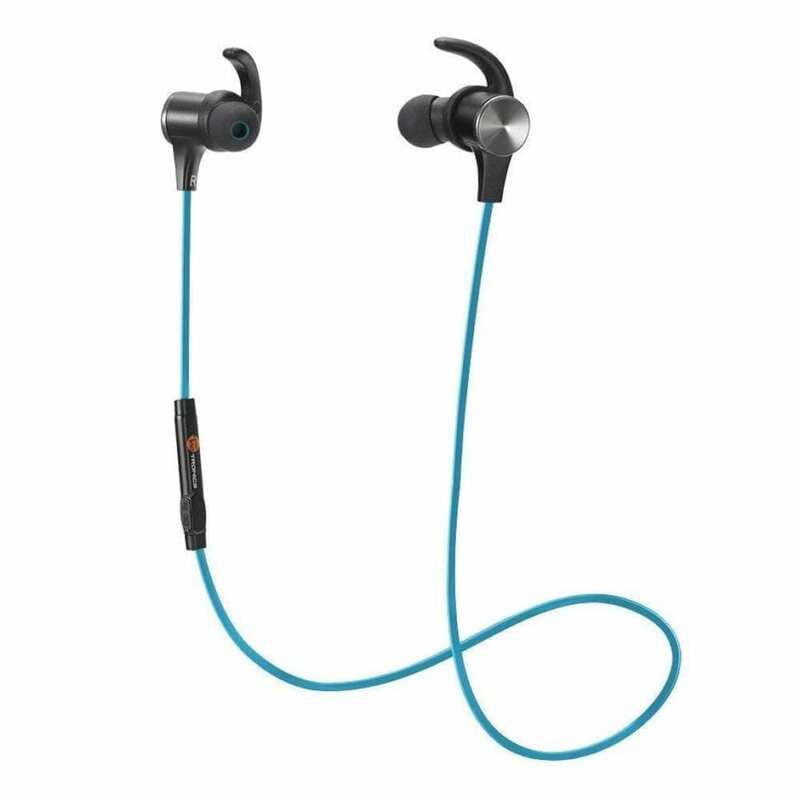 Ideal for those who like to be active, the TaoTronics Wireless 4.1 Magnetic Earbuds Stereo Earphones are the perfect active wear earbuds. These earbuds are secure and stay snug on your ears. This is great when you are moving around a lot to bike, run, jog, walk or workout at the gym. They come with built-in magnets that make it easy to attach the two headphones together whenever they are not in use. This feature ensures that they do not get tangled in your pocket or in your bag. You can wear them around your neck almost like a necklace until you are ready to use again. Their battery life is respectable at almost 5 hours per charge. 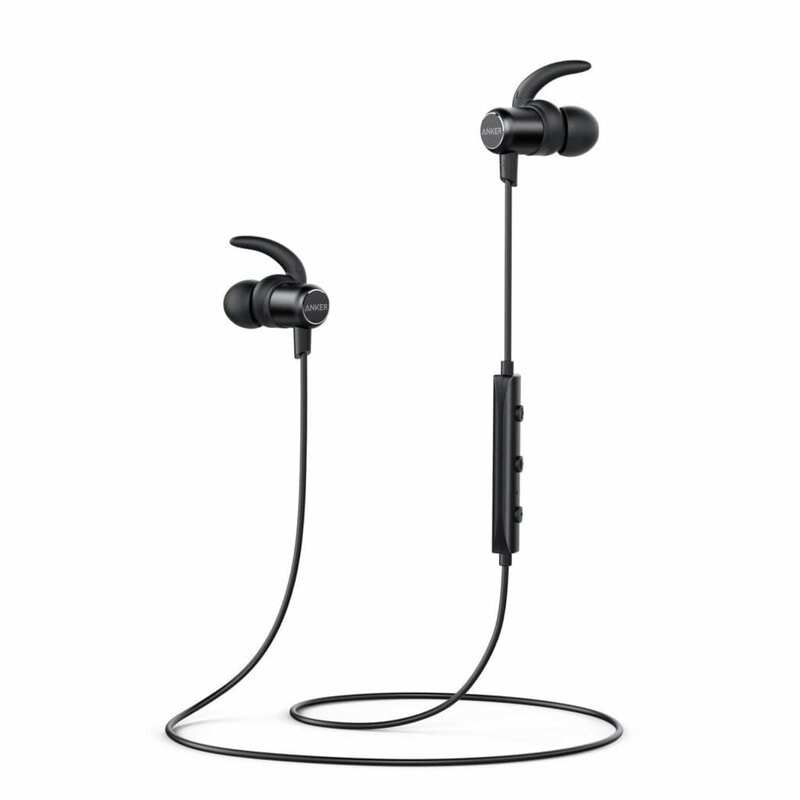 Like most rockin’ earbuds, TaoTronics has isolation technology that reduces ambient noise. 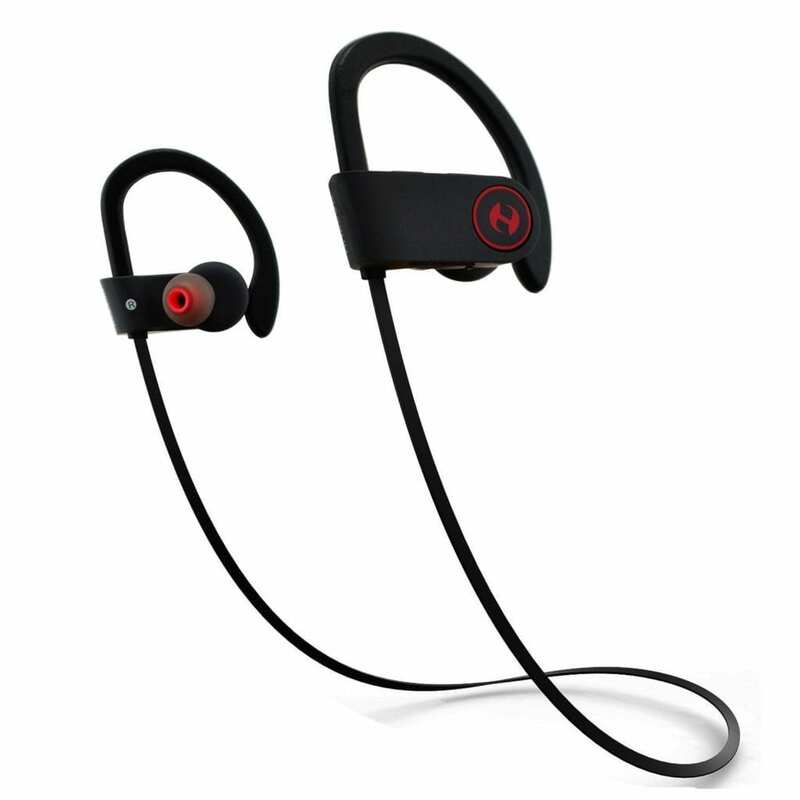 For any kind of cardio activity, these earbuds are a great purchase under 50 dollars. The Anker SoundBuds are perfect for any cardio activity you can throw at them. These earbuds are the paragon of precision engineering: providing the happy user with 6-millimeter drivers that offer skip-free audio. Not surprisingly, these earbuds have a reputation for their secure fit. Unlike some of our other “under 50” options, these little dynamos can last up to seven hours with one full charge. These are also water-resistant. That is helpful when you are sweating. The internal nano coating offers two different layers of protection against water damage. You can choose your own size of ear buds from the selection that comes in the pack and the USB cable that comes with the Anker SoundBuds Slim Wireless set. Sound Quality: 8mm Speakers combined with Bluetooth 4.1 create super accurate HD sound with powerful bass. Experience solitude from the outside world. Charge: Magicbuds Bluetooth Headset can deliver up to 9 hours of play time on a full charge. The Hussar Magicbuds earphones round up our list of the “best earbuds” search. These are a hook design that securely fits to your ear. They fit perfectly in your ear canal. The soft smooth silicone gel surface is sweat proof. It is great for the gym, hiking, running, cycling and sports. They also work great for soundtracks, audio books, relaxing sounds, and even loud music. One of the best features is its CVC 6.0 technology that reduces background noise. It is very easy to connect to Bluetooth and connects from over 30 feet away. Hussar Magicbuds Bluetooth Headset can deliver up to 9 hours of play time on a full charge. 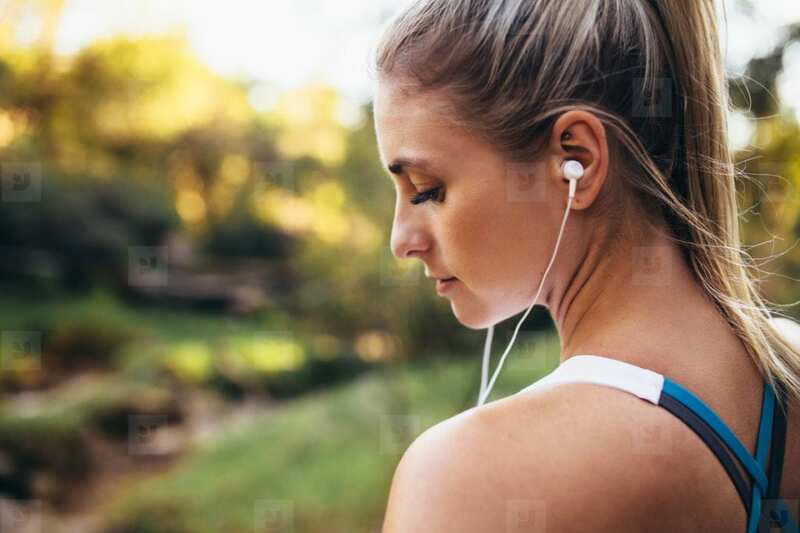 If you’re going to head out to to the great outdoors with your wireless earbuds, you might also want to consider purchasing a bicycle water bottle or a water bottle for hiking.